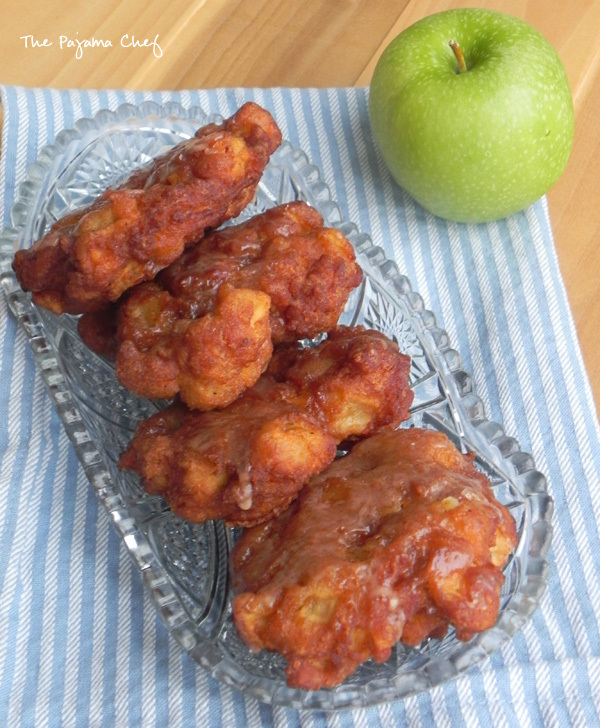 Apple fritters at home. Easy, no fuss, and absolutely amazing! I LOVE apple fritters. Absolutely love them. When they’re among my doughnut choices, I’ll almost always take one. Cake doughnuts with chocolate glaze and sprinkles are a close second, as are those fake-blueberry doughnuts. [Doughnuts are so yum, doncha think?] 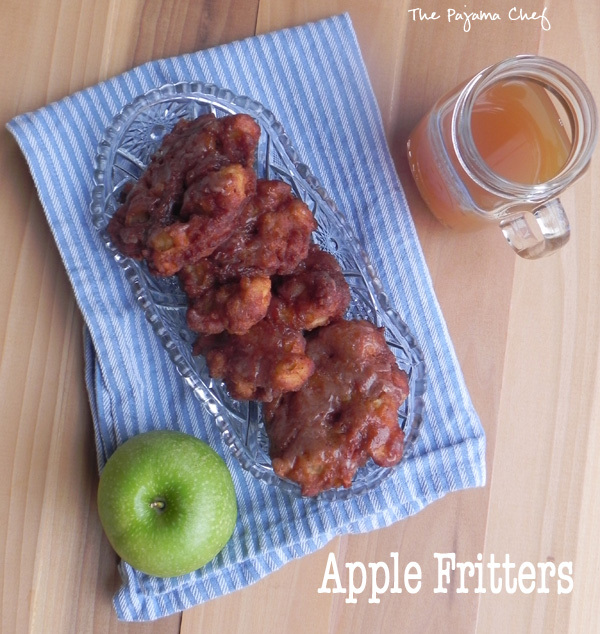 I’m not sure what it is about apple fritters that I adore the most–probably those soft pieces of sweet fall apples stuffed inside. 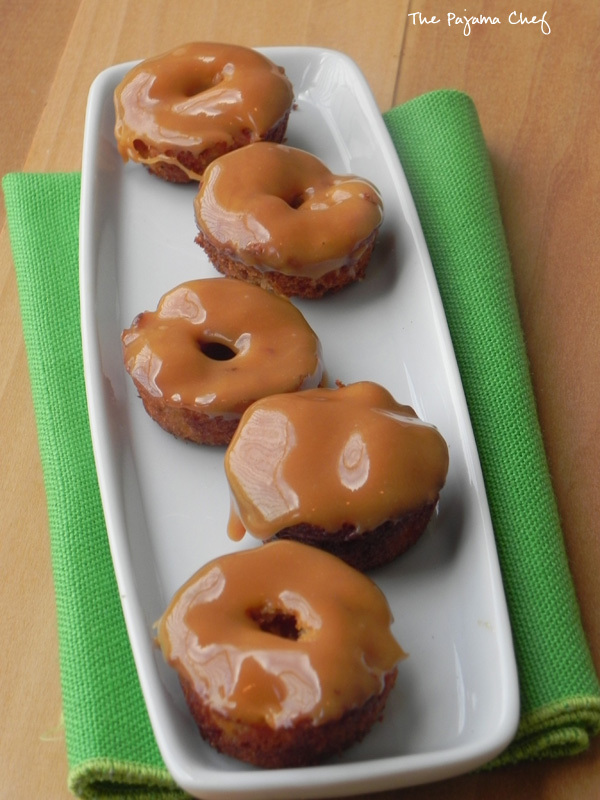 Or the combination of soft, pillowy doughnut with a crunchy, spiced glaze. Mmmm! Since I love apple fritters so much, I decided to put them on my 30 before 30 list. I shy away from making doughnuts at home because using my baked doughnut pan is such a pain and frying scares me. But growing older means getting over fears, so I decided that I had to fry these babies at home. 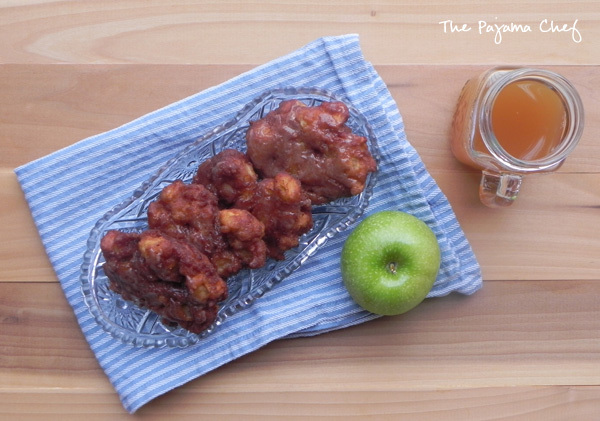 Because apple fritters equal yum. I made them the night I got home from a fall trip to Hilton Head Island with my family last month. Weird, I know. I mean, who doesn’t make doughnuts after an eight hour drive?!? 🙂 Well, I had to, because they were my payment to my sister and brother-in-law for driving me back to Nashville after Ben had to leave early to get back to school. Well, I’m really glad I faced my fears because guess what! Frying isn’t as hard as it seems. It’s kinda messy and not that great for you, so I don’t think I’ll be doing it alllll the time, but once in awhile it’s fun. You just have to go slowly and carefully to avoid scalding yourself with the hot oil. Other than that, no problem. These fritters are so darn good and so easy that you’ll want to make them every weekend. 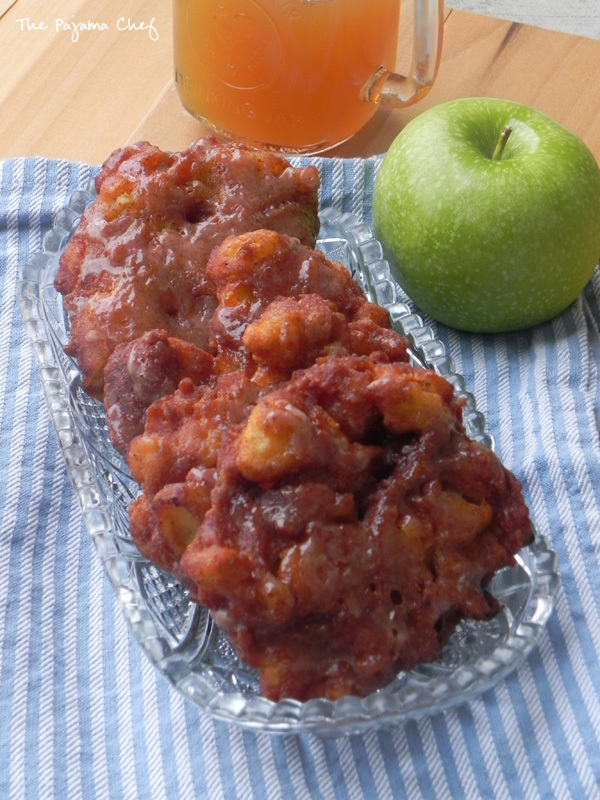 The fritters are extra apple-y since they’re made with apple cider AND fresh apples. And extra spicy [not spicy-hot but warm spicy with cinnamon/nutmeg/cloves alongside the aforementioned apple cider]. But that’s just in the fritter! 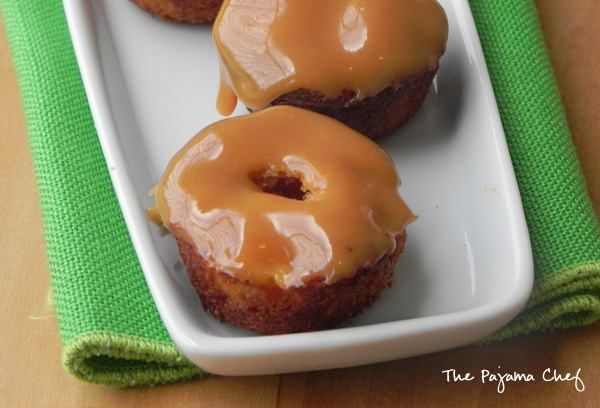 The spiced apple glaze is simple [powdered sugar + apple cider + spices] and absolutely wonderful! I think I’ll be using this glaze on muffins and cakes and everything else imaginable from now on. It is just the perfect compliment to the fluffy doughnut. Each bite of these fritters is better than the last. You know you can just get over some sweets after the first few bites? Like it’s just too much after a bit? Well, these fritters are not that. Each bite is better than the last. I hope you love these fritters as much as we did. They’re relatively quick to make and don’t require the oven, so wouldn’t they be perfect for Thanksgiving breakfast? Enjoy! Place chopped apples in a single layer on a clean tea towel. Top with another clean tea towel and pat dry, gently rolling to dry all sides of the apples. Remove top towel and pat dry with a paper towel to make sure you got it all. Alternatively, you can use paper towels on a baking sheet. Next, whisk together flour, sugar, baking powder, salt, cinnamon, nutmeg, and cloves. In large measuring cup, whisk together cider, eggs, butter, and vanilla. Add apples to the flour mixture and toss together. Then gradually pour cider mixture over apples, stirring to form a thick batter. In a dutch oven, heat oil over medium-high heat until it reaches a temperature of 350 degrees F. I think you could also use a deep skillet but you’d need additional oil to fill it up. A deep skillet would allow you to cook more at once, but the dutch oven approach works well too. When oil is hot, scoop batter by the 1/3 cup-fulls into the hot oil. Immediately use a wooden spoon to press and flatten the batter. I fried 3 fritters at once; if I had used a skillet I think I could have done 4-5 at once. Fry for 2-3 minutes per side, being careful not to let the oil temperature go above 350 or your fritters will burn. Ask me how I know. Adjust heat as necessary to keep temperature between 325-350. When fritters are golden brown, remove with a slotted spoon or tongs and allow to cool on a wire rack set over a rimmed baking sheet to catch dripping grease. Repeat until batter is finished. Recipe should yield 12 fritters. When fritters have cooled slightly, make the icing. I did this after all fritters were done frying and the timing worked well. Whisk powdered sugar together with cider, then add cinnamon and nutmeg. Whisk until smooth, then drizzle 1 tablespoon over each fritter. I had extra glaze so I waited for the glaze to set for 10 minutes and then glazed them again to use it up. Fritters are best enjoyed within 3 days. After the first day, they should be refrigerated. 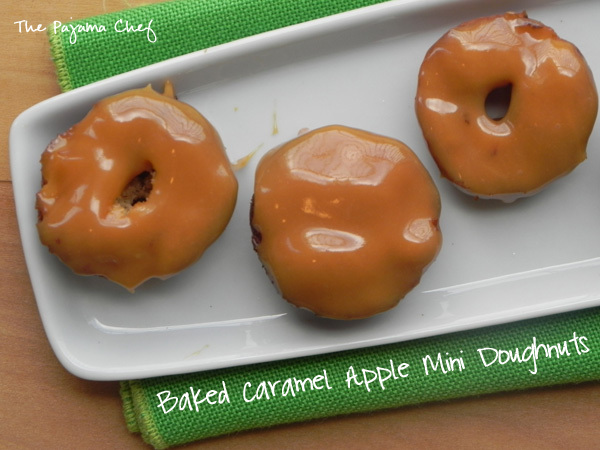 These mini apple doughnuts are dipped in an easy sweet caramel sauce for the ultimate easy fall treat! Grease mini doughnut pan(s) or mini muffin pan(s) with cooking spray. Preheat oven to 350 degrees. 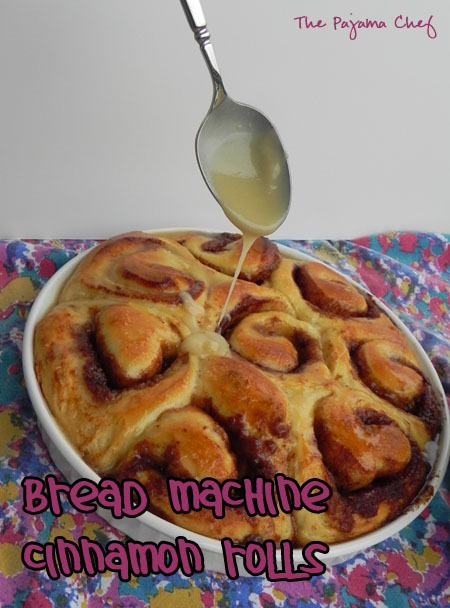 In a medium bowl, whisk together flour, baking powder, and cinnamon. In a measuring cup, whisk together egg, sugars, oil, applesauce, and vanilla. Pour wet ingredients into the dry and stir until combined. Fold in apples. Spoon batter into prepared pans, filling about halfway. Bake for 15-18 minutes, or until golden brown and a toothpick inserted in the center comes out clean. Remove to a wire rack to cool for 5-10 minutes. Meanwhile, place caramels and milk in a microwave safe small bowl. Microwave for 30 second increments on 50% power, stirring after each burst. Repeat until a caramel sauce comes together. 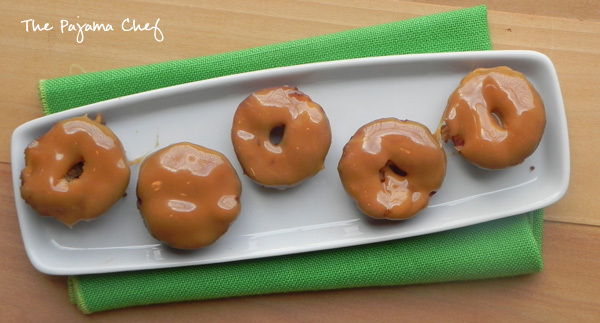 Dip doughnuts into caramel sauce then return to wire rack to set. Serve warm! Enjoy within a couple days, but they are definitely best the first day. 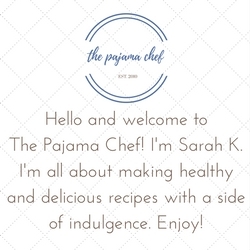 Be sure to check out other recipes from the Secret Recipe Club today! So, I don’t use my breadmaker nearly enough. Maybe because it’s a bit clunky, maybe because I’m a little too lazy to pull everything out of the cabinet to get it out. But I really should use it more. Especially when it makes delicious treats like these, at a fraction of the effort as regular from-scratch cinnamon rolls take! Can ‘o cinnamon rolls, you don’t got nothing on these! Put dough ingredients in breadmaker according to the manufacturer’s directions [for mine this is liquids and salt, dry, yeast], and run on dough cycle. Remove dough from breadmaker when cycle is complete, then preheat oven to 325 degrees. Grease two round cake pans or pie dishes and set aside. Roll dough out into a large rectangle, approximately 12×24 inches. Brush with melted butter, then cover evenly with brown sugar and cinnamon. Be sure to leave about a 1-inch gap around the edges; otherwise filling will spill out when you roll. Roll up dough lengthwise, then cut in half. Continue cutting each piece in half until you have 16 pieces total. Place in prepared pans. Refrigerate overnight and bake in the morning, following steps below [bring to room temperature 30 minutes or so before baking]. Cover and let rise for 30 minutes [I find this is necessary in colder temperatures]. While baking, mix together icing. Whisk together powdered sugar with maple syrup and butter, then add enough milk to reach spreading consistency. 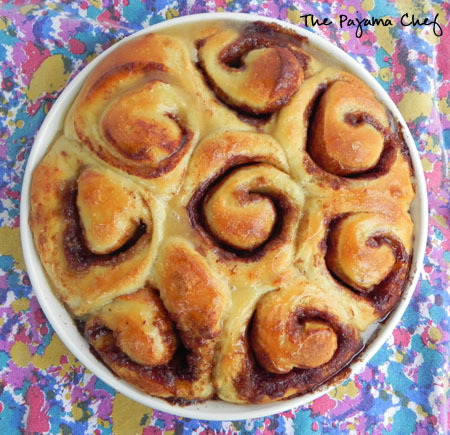 Ice cinnamon rolls immediately after coming out of the oven, serve, and enjoy!